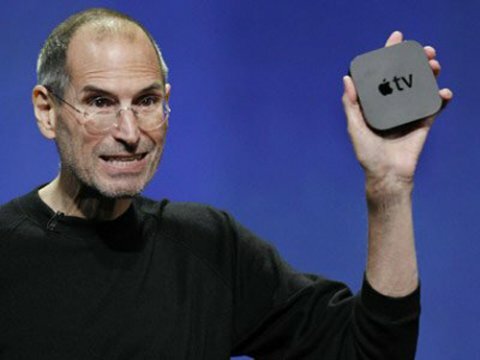 Could It Be, Mental Illness Connected To Steve Job’s ?? At the turn of the millennium, “Think Different” was the widely acclaimed advertising campaign for Apple Inc. But for company chairman Steve Jobs, thinking differently was more than just a slogan — it was an unavoidable fact of life. Jobs — subject of a new biopic, “Jobs” — was a typical obsessive, according to author Joshua Kendall, and Apple’s leader probably had a little-known disorder that psychiatrists now refer to as obsessive-compulsive personality disorder, or OCPD. The National Institutes of Health (NIH) describes OCPD as “a mental health condition in which a person is preoccupied with rules, orderliness and control.” It often runs in families, but scientists are unclear whether genes, environment or a combination of these factors are behind the disorder. Though they’re similar, the contrast between OCPD and obsessive-compulsive disorder (OCD) couldn’t be starker: People with OCD have unwanted thoughts that interfere with their functioning, whereas people with OCPD are highly functioning individuals who are convinced that their way of thinking is absolutely correct, if not superior to everyone else’s. Jobs, Lindbergh and other high-fliers are the subject of Kendall’s recent book, “America’s Obsessives: The Compulsive Energy That Built a Nation” (Grand Central Publishing, 2013). The book is filled with examples of people (mostly men, as OCPD is less common among women) who rose to the top of their fields, largely due to their obsessiveness. Thomas Jefferson — architect, botanist, diplomat, farmer, meteorologist, president and author of the Declaration of Independence — also kept a written log of every penny he ever spent and charted every vegetable market in the Washington, D.C., area, according to Kendall. Baseball legend Ted Williams of the Boston Red Sox also exhibited the traits of OCPD, Kendall said. “When I wasn’t eating or sleeping, I was practicing my swing,” Williams famously said. He also approached the practice of hitting a baseball as a science, even attending physics lectures at MIT to better understand the dynamics of swinging a bat. But single-mindedness like this comes at a dear cost — one that’s generally paid by other people. “Obsessives tend to miss out on the joys of family life. They have a hard time connecting with others,” Kendall said “They are control freaks who are uncomfortable unless they are in a dominant position in a relationship.” Indeed, Jobs refused all contact with his biological father, who tried in vain to reconnect with his famous son. Slugger Williams, who championed cancer treatment on behalf of the Dana-Farber Cancer institute in Boston, once admitted that he was “horses**t” to his own neglected children. Perhaps no one personifies this dichotomy better than Jobs, whose achievements could make his life story read like a hagiography (he was a rags-to-riches electronics wizard, a Zen Buddhist and a billionaire). But behind the scenes, he reportedly could be impossible to relate to on a human level. “Jobs was difficult to work for,” Kendall said, “and would often blow his stack when something wasn’t done the right way,” which meant, of course, his way. “And his difficult personality was the reason for his hiatus from Apple in the 1980s,” Kendall said. Suffering from a bad reputation earned by his heavy-handed, mercurial management style, Jobs was forced out of Apple in 1985 (he rejoined the company in 1996). There’s a large and growing body of research devoted to the link between successful, high-achieving personalities and some degree of mental illness. For instance, a few personality traits of psychopaths may actually be positive in some circumstances, according to researcher Scott Lilienfeld, a psychologist at Emory University in Atlanta. Lilienfeld found that a couple of psychopathic traits are, ironically, also linked to heroic behavior. A psychopathic trait called fearless dominance — essentially boldness — was linked with greater heroism and altruism toward strangers. “Personality traits can be good or bad depending on the person and depending on the situation and also how they’re channeled,” Lilienfeld told LiveScience in an earlier interview. There’s even some evidence that OCPD may have helped human civilization evolve: A 2012 report in the journal Medical Hypotheses presented the “ADHD-OCPD theory of human behavior,” which states that people with attention deficit-hyperactivity disorder and OCPD were critical in the switch from a hunter-gatherer society to an agricultural society. Farmers, the theory proposes, who were more meticulous, detail-oriented perfectionists would have been more successful than others, especially when growing just one crop (only corn, for example). Being more successful, these obsessive individuals would have had more children, and their successful traits would have thus spread to other fields, giving rise to merchants, teachers, doctors and other specialists. Copyright LiveScience, a TechMediaNetwork company. All rights reserved. This material may not be published, broadcast, rewritten or redistributed. According to data captured by the site, thousands odf teachers are looking to hook up with well-off dates that can help them financially.Call me crazy, but I think the real story here is how horribly paid teachers are! !